Do famous people have wills? Less than 50% of people in the United States have a will and it seems that famous people are just as bad as average folks when it comes to writing one. The younger the person, the better the chance that there’s no will. A will can be a fairly simple document to prepare and is something that everyone should have. That way, when you die, there won’t be any squabbles over what you’ve left behind and there won’t be any arguing about what you would have wanted to do with them. Here are just a few of the famous people who died without a will. 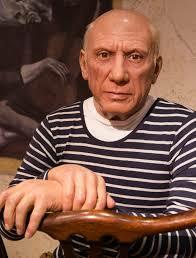 Pablo Picasso died in 1973; he was 91 year old. He left behind an estate valued at $250 million. Because he didn’t have a will, his heirs had to fight for six years and spend about $40 million to settle his estate. If he had just done some basic estate planning, many of the issues could have been avoided. Jimi Hendrix died at age 27 in 1970 from a drug overdose. When he died, his father Al fought with two children who Hendrix had fathered out of wedlock. Eventually, Al won and he inherited the whole estate. When Al died in 2002, he left Hendrix’s estate to his adopted daughter, while neglecting to leave his biological son anything. Since Hendrix died without a will, his family spent millions of dollars and more than 30 years fighting over the rights to his property. Bob Marley died from cancer in 1981. His estate was worth about $30 million and many people claimed a portion of it. His wife only received 10% based on Jamaican law. With a will, he could have left her more. This estate, too, took more than 30 years to settle. Millions of dollars were spent in court costs and family relationships were badly damaged. Whether you’re famous or not, you should definitely have a will. A free, simple form can be found on the web or, if you have a large estate as these folks did, an attorney should be consulted. Your will can state what you want to have happen to your assets and who you want to receive what. Your family will have a rough enough time dealing with your death when you’re gone. Don’t give them the added burden of fighting over your things. For more information about estate planning and wills, go to www.diesmart.com. This entry was posted in Dying Without A Will and tagged diesmart, Hendrix, Marley, Picasso, Probate, trust, will on April 30, 2018 by Minna Vallentine.